Ashley Goszczycki, M.S. CCC-SLP, is the founder of The Speech Spark. 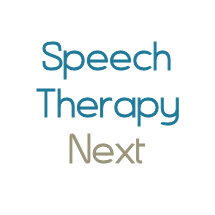 The Speech Spark is a full service private speech-language therapy practice providing services to children ages 2 to 14 years in Manhattan. We provide consultations, evaluations and therapy. A FREE consultation is provided in-person or via phone to discuss concerns, share information such as previous evaluations, and gather relevant documents on your child's level of speech and language skills. A consultation is used to determine if an evaluation is needed. If we determine that an evaluation is needed, your child's skills will be assessed during play, through parent interview, and using formal tests. An evaluation is 1-2 hours long. Following the evaluation, a comprehensive evaluation report is provided, which includes results, recommendations, frequency and duration of therapy, beneficial therapy programs, and classroom modifications. I work with you, your child and the child's teachers to develop a plan, including goals, helpful strategies, and areas of need. Therapy services are conducted in your home/daycare/school due to the incredible power of parent/teacher involvement in therapy to promote skill carryover. Therapy sessions can be 30 or 45 minutes, once, twice or three times a week depending on the child. After each session, I will tell you what we worked on and give homework to do on the days I am not there. It is also highly encouraged for the parent to participate in the therapy sessions. If this is not possible, I will provide feedback and videos of the session via email. At this time, we do not accept insurance. We provide receipts that you may submit to insurance for reimbursement. Please contact us to discuss rates. Welcome! First off, I know how stressful it can be to get your child the help he/she needs! I will be there every step of the way to support you on this journey. I have ten years of experience in assessment and treatment of children from 18 months to fourteen years old. I specialize in working with children with Autism spectrum disorders and childhood apraxia of speech. I also have experience with language learning disabilities, such as reading/writing disorders, dyslexia, and executive functioning disorders. I have worked in Early Intervention, special education preschools, elementary schools and middle schools. In addition, I have experience with various behavior modification programs to support children with behavior difficulties. I approach therapy as child-centered, individualized and fun! I am extremely patient with my clients. I view parents as partners in this mission to improve speech and language skills. Please contact me with any questions!